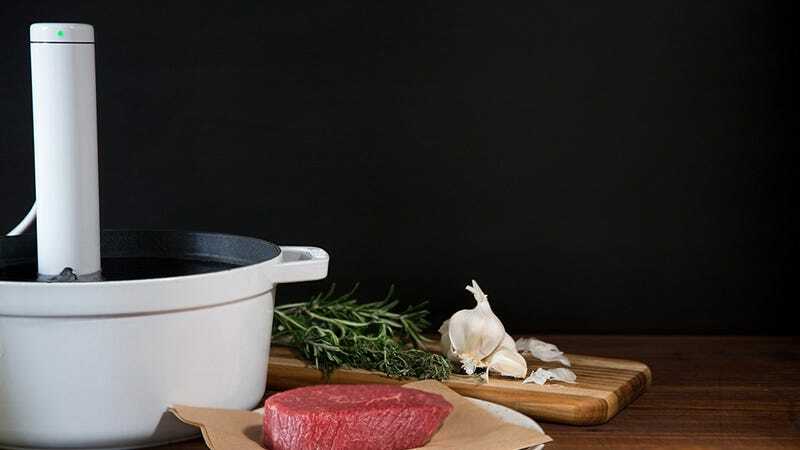 Anova dominates the sales charts, but in many ways (raw heating power, looks, size, software quality), the Joule sous-vide circulator is actually the superior product, and Amazon’s running an unprecedented $40 discount on it, for Prime members only. The Joule White is actually a new model of the Joule, swapping the original’s stainless steel top and base with white plastic to match the rest of the unit. Otherwise, it’s exactly the same as the Joule White/Stainless, and usually retails for $20 less at $179. Today’s Prime Day sale though is a great chance to save a lot more.